Bukavu (former official names: Costermansville (French) and Costermansstad (Dutch)) is a city in eastern Democratic Republic of the Congo (DRC), lying at the extreme south-western edge of Lake Kivu, west of Cyangugu in Rwanda, and separated from it by the outlet of the Ruzizi River. It is the capital of the South Kivu province and as of 2012 it had an estimated population of 806,940. The current Governor of Bukavu is Marcelin Chishambo. Bukavu is part of the ancient territory of Bushi Kingdom, the main ethnic group of South-Kivu. It was governed by a “Muluzi” Nyalukemba, when the first Arabs, then the European arrived in Bushi at the end of the 19th century. (“Muluzi” or “Baluzi” in the plural means « the nobleman or nobility to Shi. It is equivalent to Watutsi or Tutsi in Kinyarwanda. Before the Europeans came in Bushi Kingdom, Bukavu was called “Rusozi”. The name Bukavu comes from the transformation of word 'bu 'nkafu ' (farm of cows) in Mashi, the language of Bashi. Bukavu was established in 1901 by the Belgian colonial authorities. Originally named "Costermansville" (in French) or "Costermansstad" (in Dutch) after Vice Governor-General Paul Costermans until 1954, it had a prominent European population under colonial rule. They were attracted by the subtropical climate (Lake Kivu is 1,500 metres above sea level) and scenic location (Bukavu is built on five peninsulas and has been described as "a green hand, dipped in the lake"). Many colonial villas have gardens sloping down to the shore. By contrast, the main residential district for ordinary people, Kadutu, climbs up the hillside inland. The surrounding hills reach a height of 2,000 metres. Formerly an administrative centre for the whole of the Kivu region, the town lost some of its status as result of the growth of Goma and the wars that erupted in the Congo following the Genocide in Rwanda. 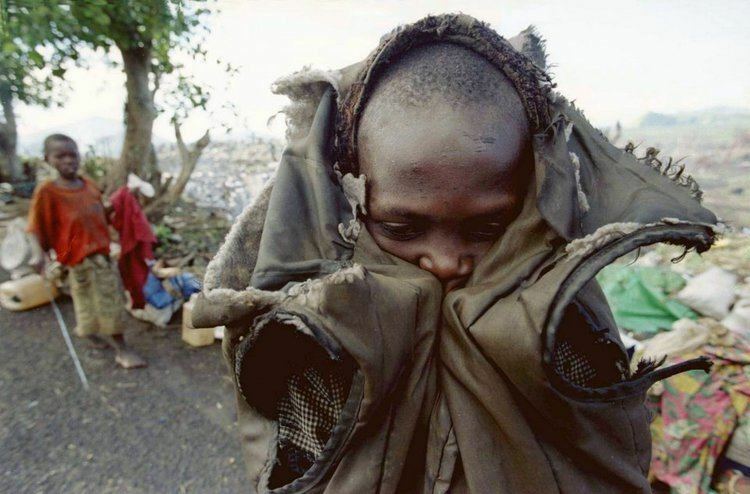 Following the Rwandan Genocide, Hutu refugees and many members of the former Hutu-led government fled as part of the Great Lakes refugee crisis. The refugee camps around Goma and Bukavu became a center of the Hutu insurgency from the camps against the new Watutsi government of Rwanda, although to a very minimal extent. In November 1996 at the start of the First Congo War, Rwandan government forces consequently attacked the Hutu camps, and forces of the then Zaire government which allowed the insurgency. This reason of the Rwandan attacked is disputable as there are reasons to believe that this was not the actual reason for the Rwandan government to attack Congo. The Rwandan government supported rebels in Zaire led by Laurent Kabila who overthrew the Kinshasa government with their help, and then fell out with them, leading to the Second Congo War. Rwanda supported the rebel Rally for Congolese Democracy (RCD) against Kabila. The reason for this support is believed to be rather economical than the protection of the Rwandan territory. The RCD was dominated by the Banyamulenge, and Bukavu which with the rest of Sud-Kivu was held by the RCD saw sporadic fighting between rebels and government forces and their proxies, including the Mayi-Mayi, especially in 1998 and 2004. On June 3, 2004, protestors in several Congolese cities took to the streets to demonstrate against the United Nations for failing to prevent Bukavu from falling to Rwandan-backed RCD forces led by General Nkunda. About 16,000 women were raped on a single weekend after General Nkunda told his troops "This city is yours for three days." In September 2007 Nkunda, who had been persuaded to fall in line with the peace accords which ended the war and re-integrate his troops with the Congolese government forces, again rebelled and started attacking government troops north of Goma. During the 2015 South Kivu earthquake, at least one policemen was killed. Bukavu is an important transport hub and gateway to eastern DR Congo, but as a result of the wars the road network has deteriorated and highways to Goma, Kisangani and other towns have not been fully restored. As with Goma, close proximity to the paved road network of East Africa and the functioning eastern section of the Trans-African Highway to Mombasa may allow a faster recovery than other Congolese towns. Bukavu's proximity to the Lake Tanganyika ports of Bujumbura and Kalundu-Uvira give it an additional advantage, with access on the lake to the railheads of Kigoma (linked to Dar es Salaam) and Kalemie (rail link to Katanga, in need of rehabilitation). Isolation, largely due to bad road infrastructure, has been found to be an important determinant of wealth and/or development in South Kivu. Bukavu has numerous lakeside wharves and boat transport is used extensively in the Congolese waters of the lake in the absence of well maintained roads. Kavumu Airport (ICAO code: FZMA, IATA code: BKY) located about 30 kilometres north is the domestic airport for Bukavu. This airport has not been renovated for many years. The renovation of this airport will be a great relief to the region and will facilitate many business and the growth of the economy. The city is home to the Panzi Hospital, founded by the Swedish Pentecostal Mission in 1921, his director Denis Mukwege operates on women, who survive sexual violence and is one of only two doctors in the eastern Congo qualified to perform a reconstructive surgery. Panzi Hospital is a teaching hospital of the Evangelical University in Africa. Bukavu is also home to the Catholic University of Bukavu's School of Medicine and General Reference teaching hospital. The pharmaceutical factory Pharmakina owned by a German immigrant and a French immigrant produces the antimalarial drug quinine and the generic AIDS medicament Afri-vir. Pharmakina also runs an AIDS diagnostic and treatment center. With 740 employees and about 1000 free-lance workers. After Great Lake Plantations SARL, which is Congo's only modern tea manufacturing company, Pharmakina is the largest employer in town. 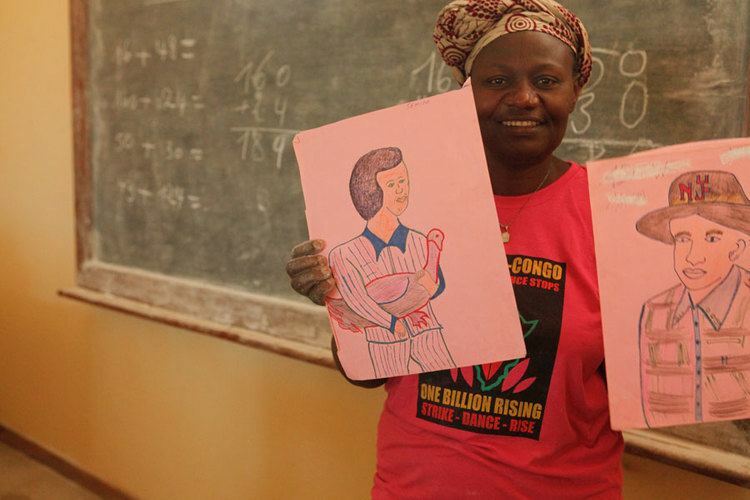 Women continue to face major problems of violence in the wake of war in the eastern DRC. Fondation chirezi in August 2007 launched a project for women's trauma healing and care, based in Bukavu. The city has over 100 art deco buildings which were constructed during Belgian colonial rule and proposals have been made to preserve these so that the city can be a tourist attraction for architecture enthusiasts. 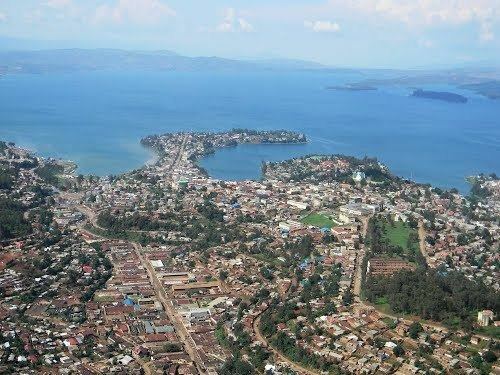 Although not threatened by volcanoes as Goma is, Bukavu is equally in danger from a potential limnic eruption from Lake Kivu, in which vast quantities of dissolved carbon dioxide and methane could explode from the lake and threaten the lives of the 2 million people who live near the lake. Köppen-Geiger climate classification system classifies its climate as tropical wet and dry (Aw). Kahuzi-Biéga National Park, a World Heritage Site and one of two homes of the eastern lowland gorilla, is close to the city and can be accessed from the road to Kavumu. The park headquarters at Tshivanga is located 31 km from Bukavu. Our Lady of Peace Cathedral, Bukavu, the centerpiece of the Roman Catholic Archdiocese of Bukavu, was completed in 1951.